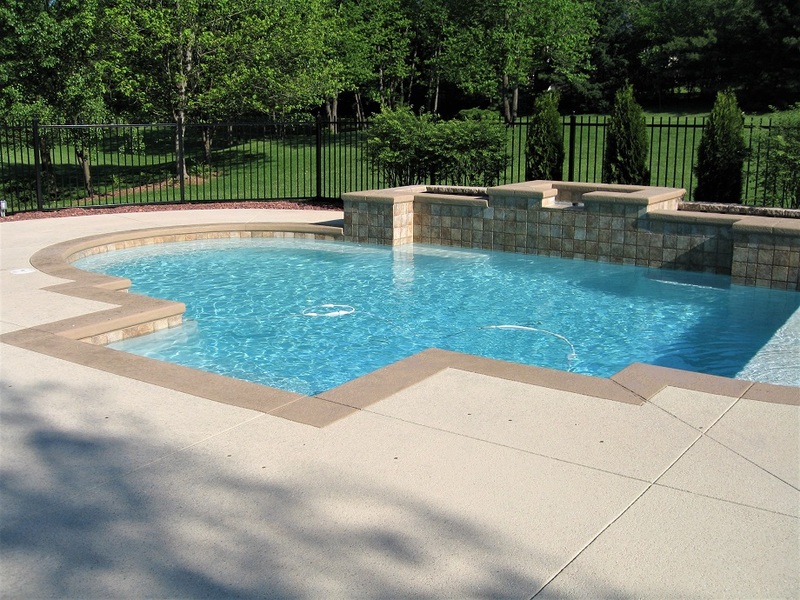 Having a swimming pool is not something new in Indianapolis, IN homes. 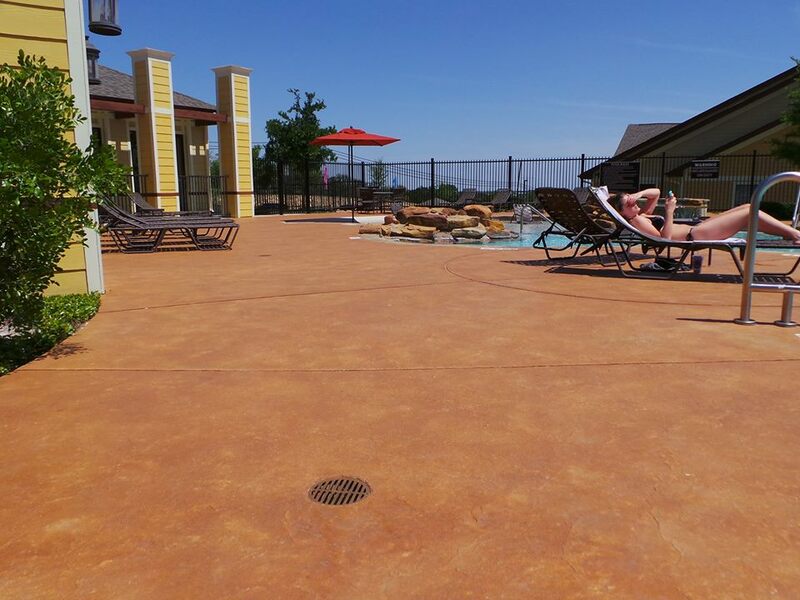 It is a great place for the family to bond and relax. 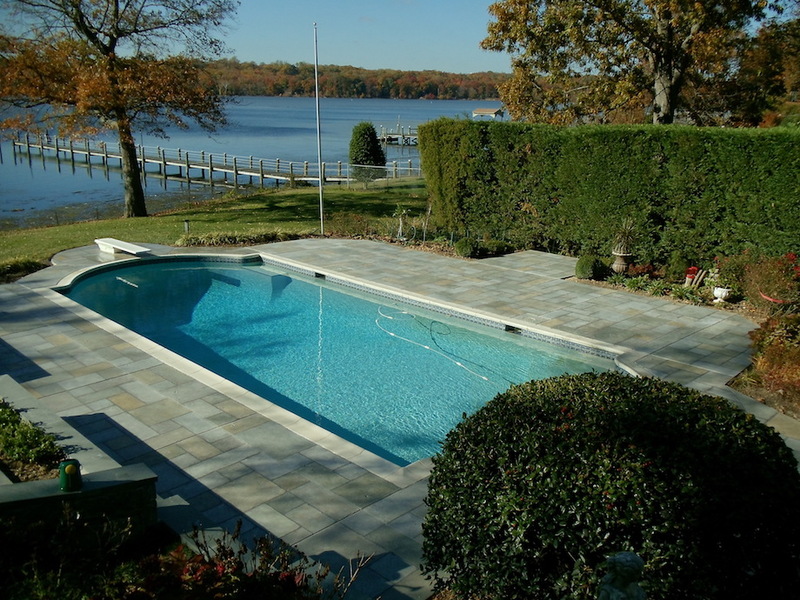 Although the pool is the highlight, the pool decking needs to also be in good shape. 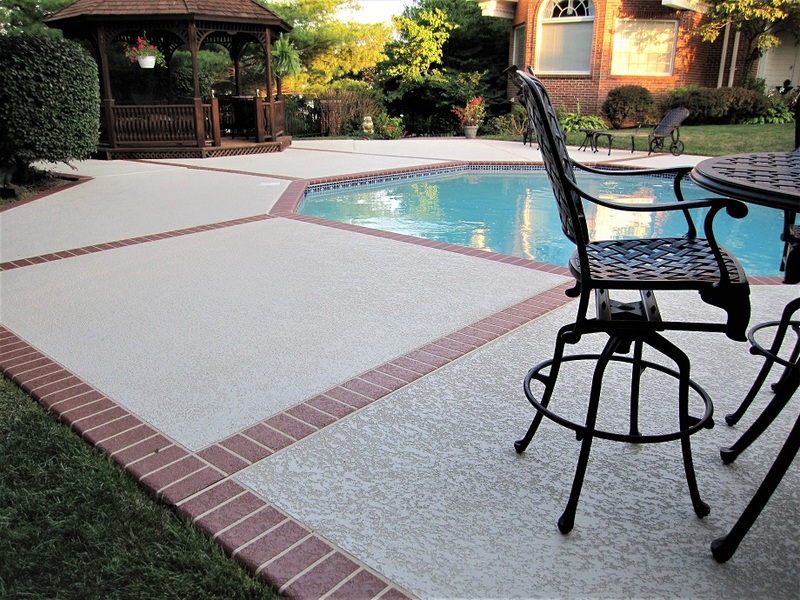 Not only will it enhance the look and function of the entire area, it will also make the lounging area a lot safer to use. Investing an exorbitant amount of money is not necessary to make this a reality. 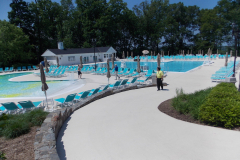 Decorative concrete offers affordable solutions that combine form and function efficiently. 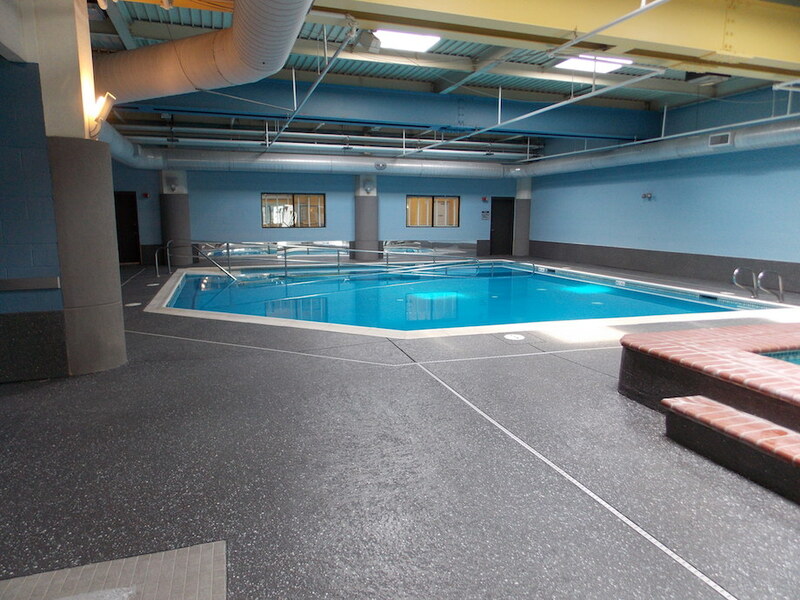 Replacing the pool deck was the old-fashioned method of dealing with concrete damage. It is not a practical option because it requires too much work and time, thus, putting the overall cost on the expensive side. 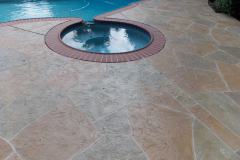 The different decorative solutions available nowadays can make the installation time shorter and the work less tedious. 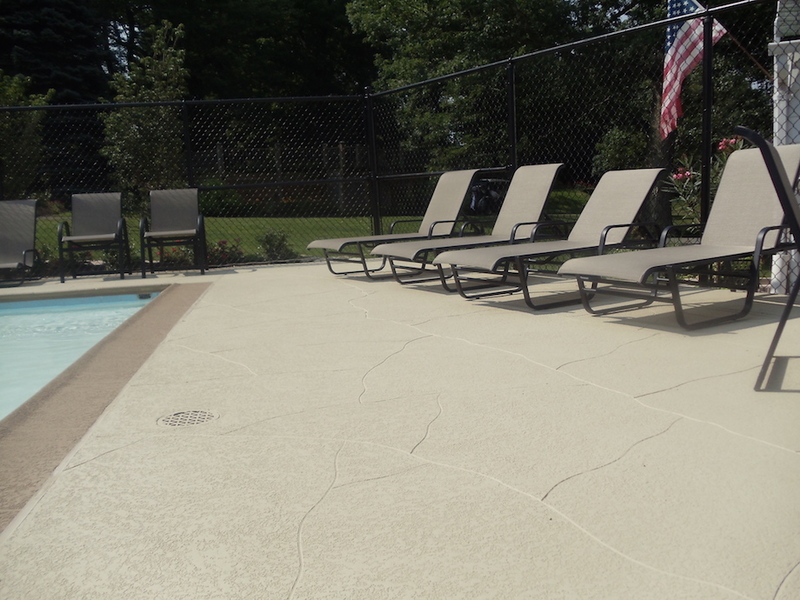 All that without compromising the quality and aesthetic appeal of the concrete pool deck. 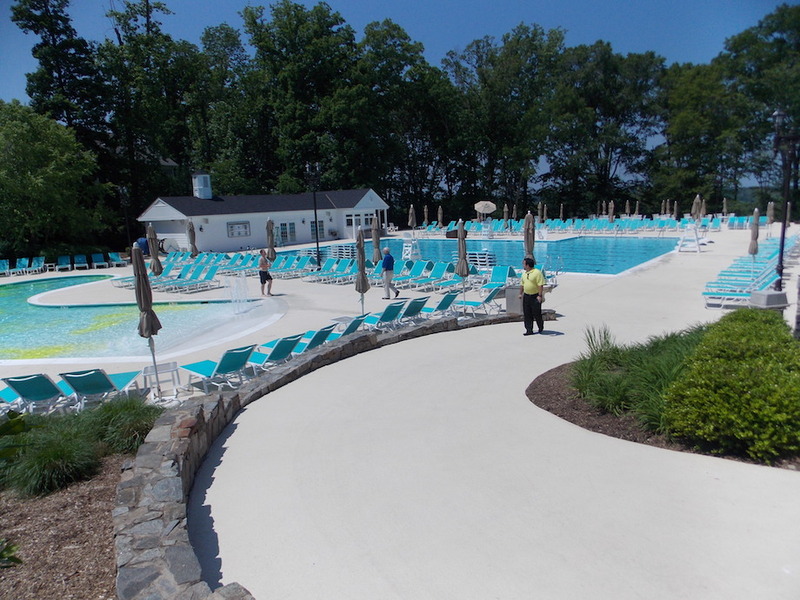 Pool Deck Resurfacing and Refinishing – Resurfacing involves the addition of an overlay or coating to make the surface more attractive, more durable, and to make it slip-resistant surface. Stamped overlays and spray knockdown texture can do all these. They both feature textures that make it non-skid and yet comfortable to walk on. 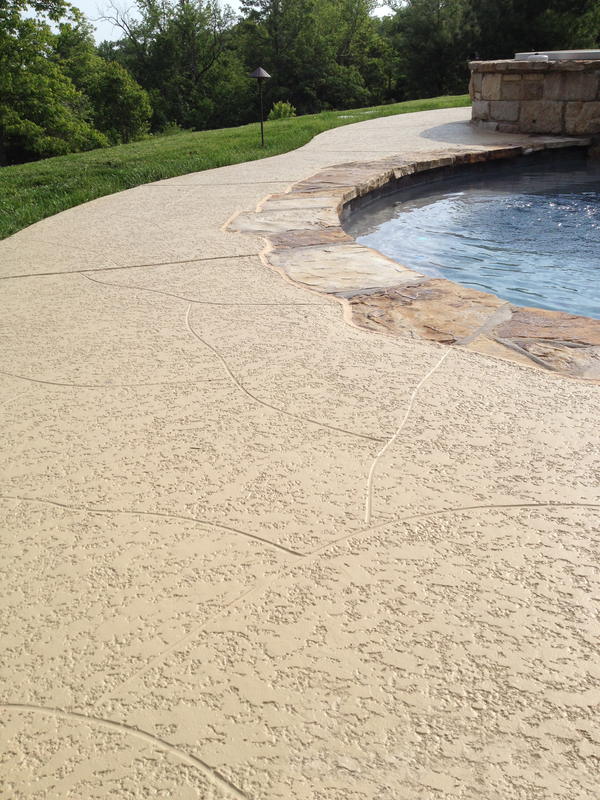 Spray texture is also known to create a cool decking, which means it stays cool despite exposure to sunlight. 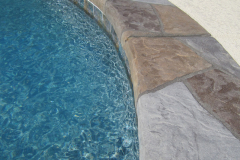 Refinishing is the process of changing the finish without replacing the surface of the pool deck. Staining is one popular example of this. 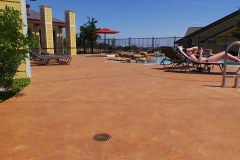 Pool Deck Recolor – Stained concrete can make the pool deck more attractive. 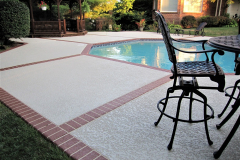 Acid stains offer earth tones and random effects caused by chemical reactions. 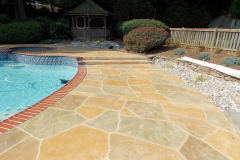 Water-based stains offer a broader range of colors that dry to a uniform and consistent hue and tone. 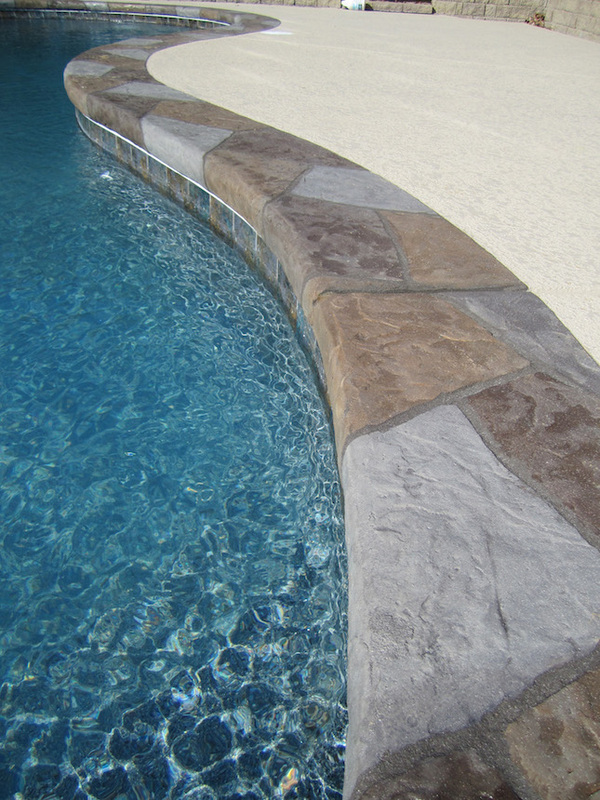 This can also be selectively done on the pool coping or border. 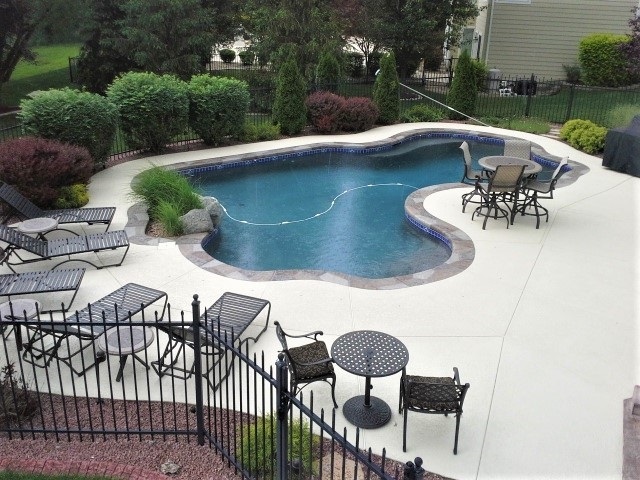 Pool Deck Reseal – Whether the deck is a plain slab, resurfaced with an overlay or coating, or stained to improve aesthetics, sealing it is a must. This serves as a protective layer while helping to enhance color and shine. 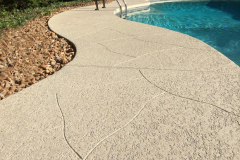 Abrasives can be added to improve slip-resistance. 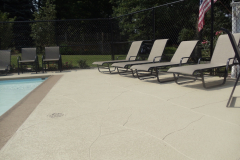 Stamped Concrete – An overlay is an effective method in covering up damage or replacing the surface of any concrete pool deck. A pattern is then imprinted on the overlay using a stamp mat. 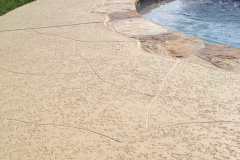 The shallow grooves created during the stamping process makes the surface slip-resistant and highly decorative. 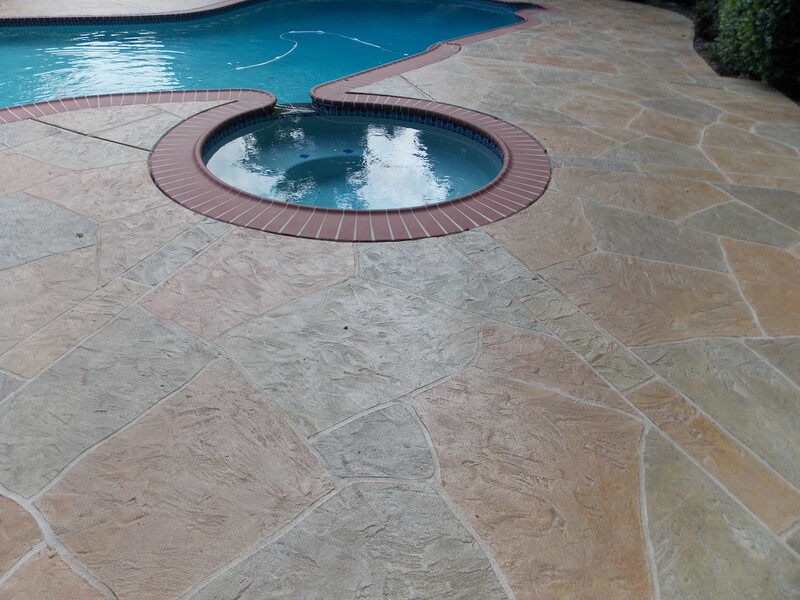 Stamped concrete pool deck offers popular patterns such as brick, stone, pavers, wood, and more. 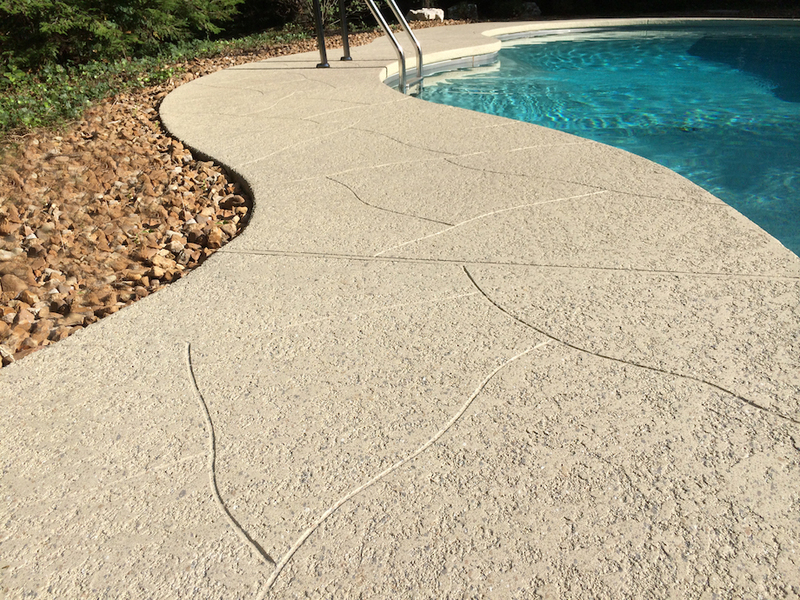 Spray Knockdown Texture – This is an acrylic concrete coating most popularly used on pool decks because of its slip-resistant texture. It is also known to remain cool to the feet even in the most humid of days. 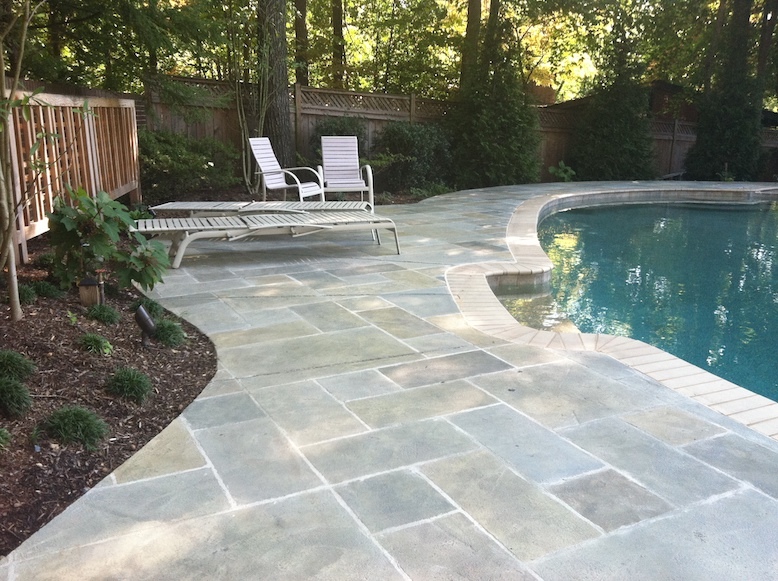 Stained Concrete – Staining the deck to your desired color would definitely bring aesthetics up a whole new level. You can choose from acid stains, which create random effects and color tones, or water-based stains, which produce solid, opaque hues. 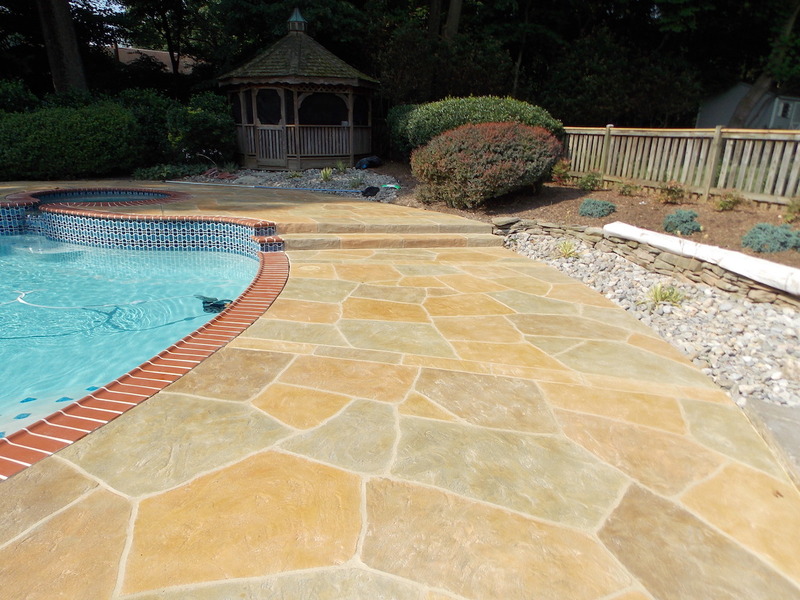 A layer of pool deck sealer can enhance and protect the colors, making them last longer. 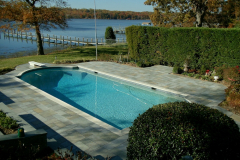 We provide experienced and creative pool deck resurfacing, refinishing, and repair. 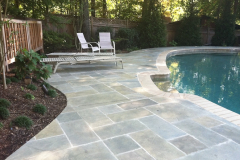 Call (317) 854-4529 for a free quote. 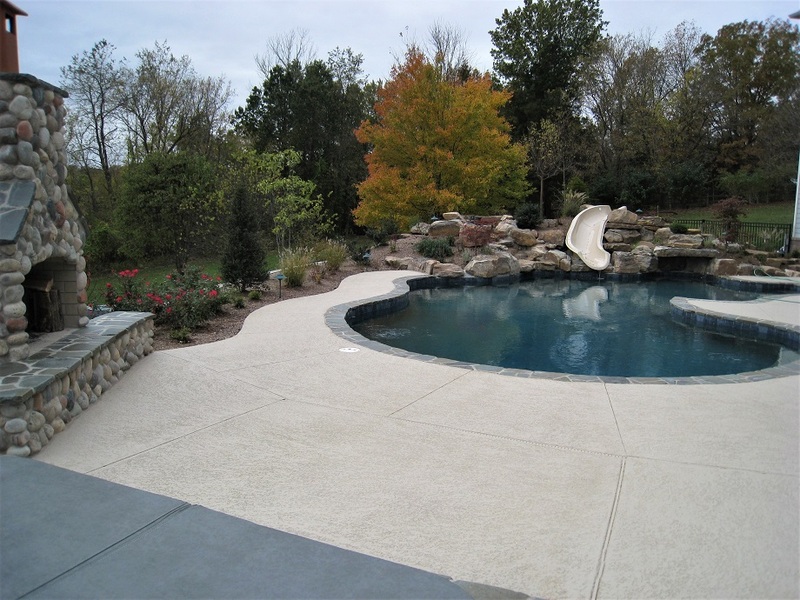 Compared to other contractors, Indianapolis Concrete Artisans provide a level of service that sets us apart from the others. We have over 20 years of experience. 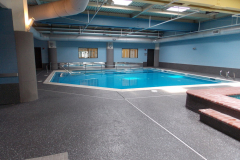 Our team is highly trained in resurfacing, refinishing, and repairing pool decks, be it in a residential or commercial setting. 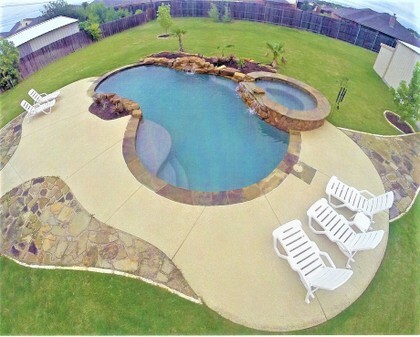 Call or email us now so we can discuss your project and learn more about your ideas and desires. We will schedule a free consultation where we will take the necessary measurements and give you design options and a quote.